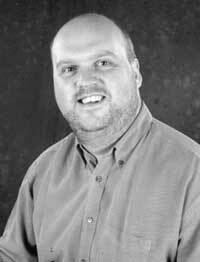 Graeme Danby is Principal Bass with English National Opera. 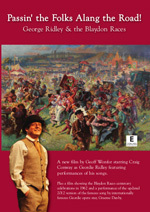 He was born in Consett, County Durham, and has sung with many other companies in the UK and in Europe, including Royal Opera House Covent Garden, Opera North and Scottish Opera. GRAEME DANBY & VALERIE REID - THERES MORE TO LIFE! Ower Young to be Married Yet GRAEME DANBY & VALERIE REID - THERES MORE TO LIFE! You'll be Laughin' GRAEME DANBY & VALERIE REID - THERES MORE TO LIFE! There's More to Life Than Women & Beer GRAEME DANBY & VALERIE REID - THERES MORE TO LIFE! What's Life All About? 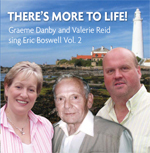 GRAEME DANBY & VALERIE REID - THERES MORE TO LIFE! Supermarket Blues GRAEME DANBY & VALERIE REID - THERES MORE TO LIFE! Katie Was There GRAEME DANBY & VALERIE REID - THERES MORE TO LIFE! Hielan' Chorus GRAEME DANBY & VALERIE REID - THERES MORE TO LIFE! You Are For Me GRAEME DANBY & VALERIE REID - THERES MORE TO LIFE! Playin' Hard to Get GRAEME DANBY & VALERIE REID - THERES MORE TO LIFE! Tyneside's Where I Come From GRAEME DANBY & VALERIE REID - THERES MORE TO LIFE! The Parting GRAEME DANBY & VALERIE REID - THERES MORE TO LIFE! The Frustrated Fishwife GRAEME DANBY & VALERIE REID - THERES MORE TO LIFE! Father's on the Beer Again GRAEME DANBY & VALERIE REID - THERES MORE TO LIFE! The MetroCentre GRAEME DANBY & VALERIE REID - THERES MORE TO LIFE! 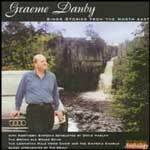 A Thousand Years from Now GRAEME DANBY & VALERIE REID - THERES MORE TO LIFE! 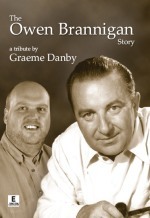 Little Donkey - Graeme Danby and Gracie Fields GRAEME DANBY & VALERIE REID - THERES MORE TO LIFE!